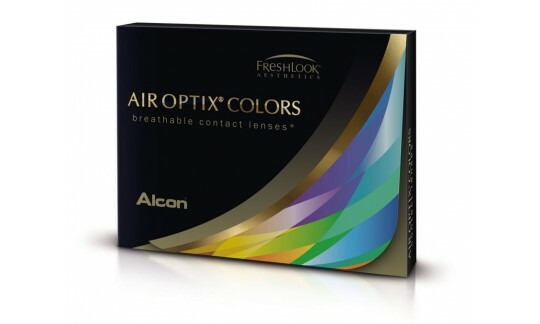 Alcon (formerly CIBA VISION) Air Optix Colors contact lenses allows you to change the colour of your eyes as well as protect them. Air Optix Colors contact lenses are made from the same state-of-the-art silicon hydrogel material as the rest of the Air Optix range, resulting in stunning colour and outstanding comfort. 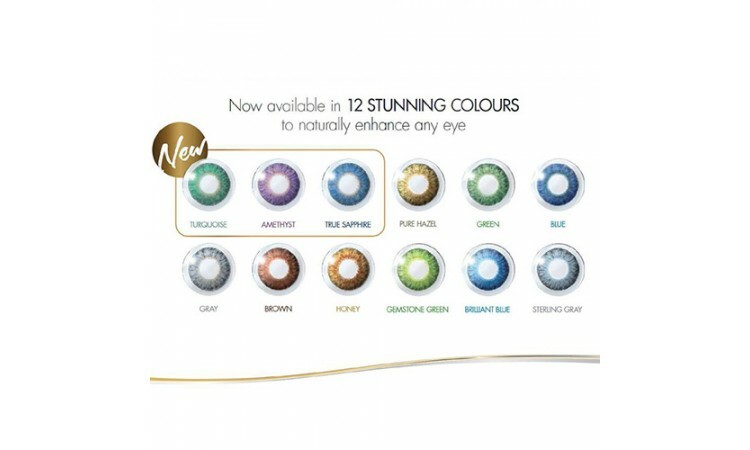 They are made with a unique, smooth surface and feature a technology that combines 3 colours in 1 to blend naturally with the colour of your eye. 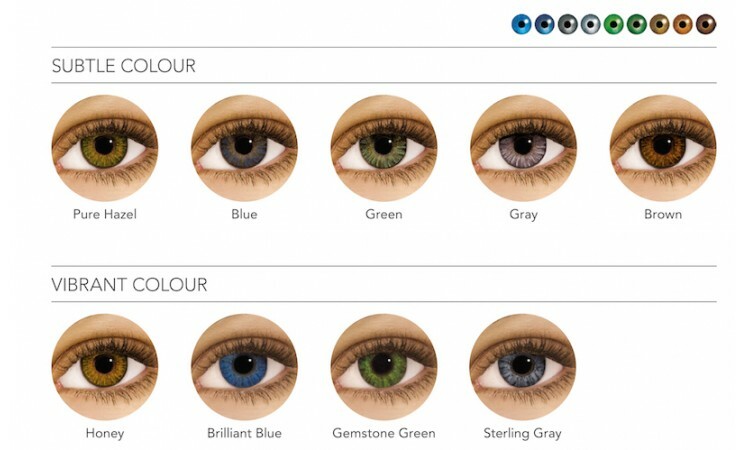 They are designed to enhance dark or light eyes, with a natural effect and are available in prescription and non-prescription. Unlike other coloured contact lenses which have colour printed on the lens surface, the colour in Air Optix Colors contact lenses is inside the lens material meaning that the only thing touching your eye is the smooth surface of the Air Optix lens giving you beautiful, comfortable lens wear. Current Air Optix Aqua wearers do not need a new fitting as long as your prescription is still valid. Not sure which colour to choose? Try them on at the Colour Studio!